A 2 year old baby boy and two 18 month old twin baby girls were left alone at home for two days in their Bellview home that had no running water or electricity. They were left with nothing to eat besides six cups of Jell-O that was placed on the floor. Christian Rochelle Woods, 21, the mother of the three kids claims she left the kids at home to travel to Mobile for work, however, place of employment can not be verified according to police reports. Woods has been charged with manslaughter and two counts of child abuse. According to the arrest report, one of the twin girls, Myleahya's body was found in a trash can on the back porch. 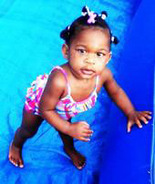 Deputies searched Woods' home and discovered the other twin, Mykayla, under a bed in a comatose state. 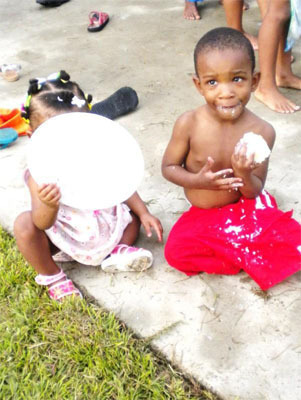 Both surviving children remained at a Pensacola hospital Wednesday afternoon, Aiken said. They were in the care of the Florida Department of Children and Families.